The fight against world hunger is a daily battle, even in countries with plenty, such as the U.S. But October 16 is a day for action and a chance for everyone to participate in the fight on the same day, worldwide. The UN has initiated a plan to end world hunger by 2030 with their “Goal 2 Zero Hunger” campaign. A number of “Target” activities have been laid out by the UN to reach the zero hunger goal as well as plans for creating food self-sufficiency, enhancing international cooperation, as well as reducing trade restrictions. The entire list can be viewed on the website. The fight against hunger relies heavily on teaching self-reliance and sustainable food production practices to help those in need help themselves. The most recent statistics by the United Nations World Food Programme states that “795 million people in the world do not have enough food to lead a healthy active life. That’s about one in nine people on earth.” Some organizations put the number closer to 900 million. Most of the world’s hungry are from sub-Saharan Africa, but hunger occurs every day in the United States as well, a land where the world gets much of her food. But comparing the two countries is like comparing elephants to oranges. (Sub-Saharan African’s can’t run over to the grocery store and pull out a SNAP card…). The UN measures hunger by caloric intake. “Undernourishment” is considered to be less than 1900 calories per day. For more information on hunger terminology, the 1998 UN University publication “Who’s Hungry? And How do we Know?” by Laurie DeRose, et al., will provide many answers. Is There Any Hope for Solutions to World Hunger? The World Bank estimates that if the world reaches 9 billion people by 2050, world food supplies must reach 50% or higher. Now, more than ever, is the time to manage the resources we have on hand now. The agricultural community is finding ways to increase yields and protect crops from damage, but some of these solutions have caused controversies in recent years, such as genetic modification and Roundup Ready crops. 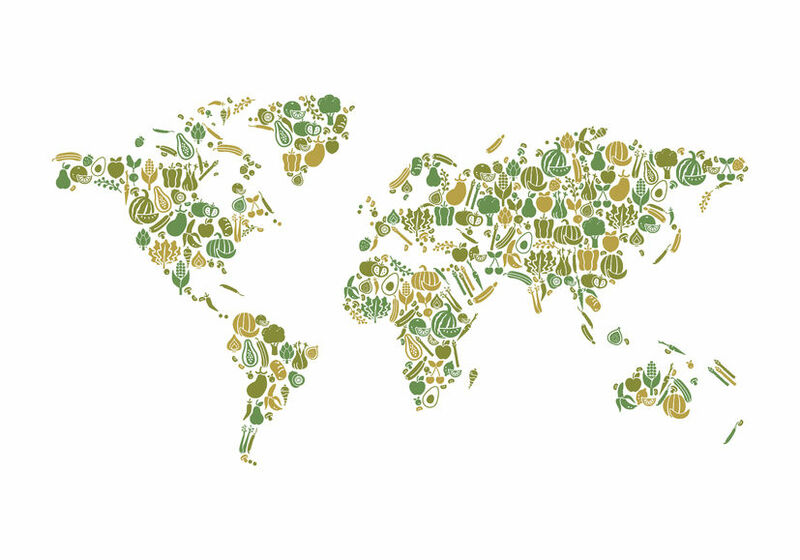 The UN hopes to maintain native plant diversity as part of it’s “Goal 2 Zero Hunger” program which reduces the chance of creating monocultures, such as those in most developed countries. Anthony Chiaravallo from Conscious Connection Magazine attended MIT’s “Sustainability Summit” in 2015 which addressed the issues of sustainability. The goal for developing countries would be to incorporate circular economy theory, where natural resources are used then reused, rather than linear, where resources are used then discarded. The former would maximize use of the resources on hand in hopes of creating sustainability instead of waste. Recent “experiments” in economic and trade diversification are creating a thriving services sector that is beginning to make strides in contributing to increasing the GBP of many African nations. This sector is providing jobs for many, especially young people, improving gender pay equality, and promises to become a source for a thriving export industry. Hunger is a complex web of issues, and it appears that the best tools for the fight against hunger are economic expansion, job creation, self-sufficiency, and giving people back feelings of self-worth and hope for a better future. Join an advocacy group for the underprivileged. Donate unwanted food whenever possible. Compost leftover food for your garden. Hunters can participate in “Hunters for the Hungry” programs, donating unwanted venison to local communities for dispersal to the hungry. Your area will have opportunities to help the hungry so go online and look for someplace to volunteer your time. Meals on Wheels programs are always in need of help feeding the elderly or ill. Volunteers for food programs are always shorthanded and, if you ask, you will not be turned away. And there’s always money. A financial contribution to a reputable organization such as Action Against Hunger or Save the Children can make a little money go a long way. Every day, countless opportunities abound for you to make a contribution to the fight against world hunger, even on the local level. Give more, dispose of less. Let’s work together to help the United Nations reach its goal of ending worldwide hunger by the year 2030!